IP-6 (inositol hexaphosphate) is a component of certain dietary fibers, particularly most cereal grains, legumes and seeds high in oil. Many researchers believe that some of fiber's health benefits may be due to the antioxidant, immune enhancing and cardiovascular supporting activities of IP-6. 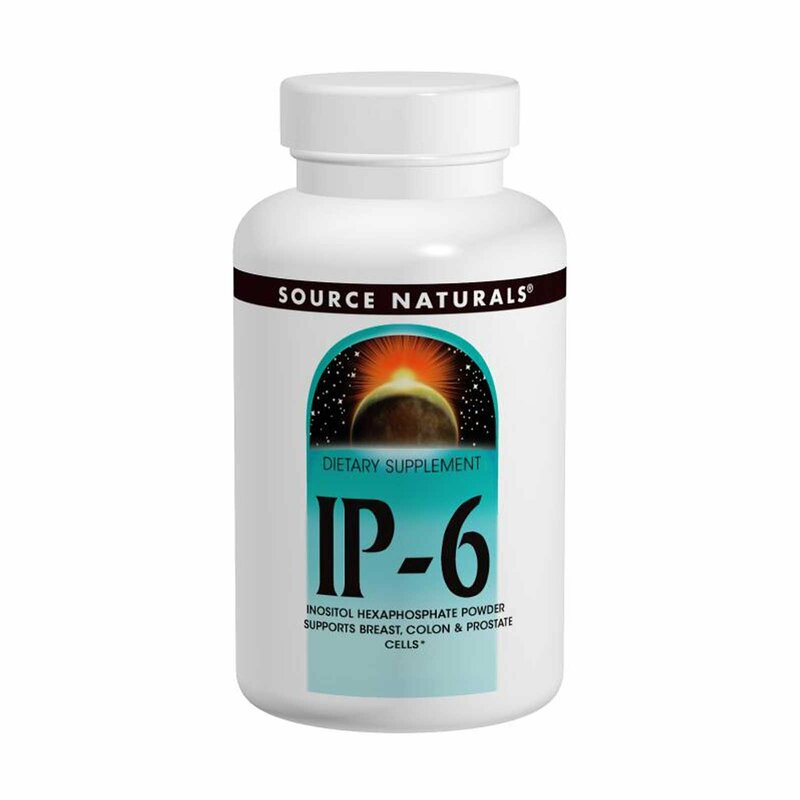 In-vitro and animal research has shown IP-6 to have significant protective and growth regulating effects on various cells and tissues including those of the colon, breast and prostate. Three tablets of Source Naturals IP-6 contains 2400 mg of IP-6, free of other active ingredients. Only IP-6 in this form has consistently demonstrated positive research results. 3 Tablets daily. For systemic support, take on an empty stomach. For direct colon support, take just prior to or with meals. Caution: Take tablets on an empty stomach if you are anemic. If you are pregnant or breastfeeding or taking blood-thinning medications, consult your health care professional before using this product.